When I first arrived in Almeria in 2007, working as the Lead Civil Engineering Inspector for Lloyds Register on the 'Medgaz' Gas pipeline project, my first task was to find somewhere to live. As chance would have it, I found an apartment on Avenida Reina de Espana in Roquetas de Mar. I soon became aquainted with the local bars and cuisine and there are quite a few in very close proximity that I would recommend. 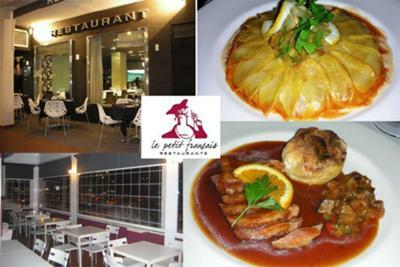 One of them that I would highly recommend is the Restaurant 'Le Petit Francais'. It's special, not only because of it's fine cuisine if that's what you are looking for - but because it also offers delicious tapas. The restaurant is easy to find and there is ample parking as it is located next to the main car park for the Auditorio (Theatre) of Roquetas. If you know where the Gran Plaza shopping centre is, you are within walking distance of finding this little gem. 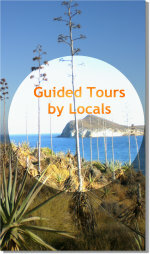 There is a map on their website (www.lepetitfrancais.es) that locates them. Hervé and Paola are the couple that own and operate this restaurant. As Chef, Hervé's offerings are a delight, while Paola ensures that you truly feel you are a welcome guest. As mentioned earlier, The Le Petit Francais offers two levels of serving. Primarily, there is the main indoor restaurant which is tastefully decorated and always makes me feel comfortable and ready for whatever I'm served. Secondly and more recently, the restaurant decided to offer a tapas selection with a 'french twist' for their customers. I'm really happy they did. Where better to sample home-made offerings as Quiche Lorraine, Courgette & Potato Omelette, Veal Pate, Sautéed potatoes au gratin with brie, "Quiche Flamande" (leek pie, fish and cheese) and Beef Bourguignon (Beef casserole marinated in wine) but in a French Restaurant?? 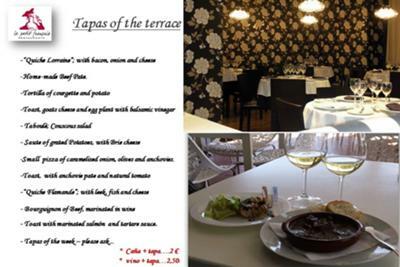 Note: Tapas is only served on the Terrace. I truly believe the Tapas gives a flavour of what Hervé prepares for the restaurant clientele. Although we frequently stop by for Tapas, we last visited the restaurant with some good friends of ours on Valentine's day. Our friends (Spanish) had never visited there before. By the time we left, our friends couldn't pay enough compliments....! We had 3 courses of personal choice plus (French) Chablis wine (I'm not a wine buff but I do love Chablis!) and complimentaries for a total of 120 euros (four persons). I do hope Hervé serves up his Mousse appetizer for you! Wow, it's so light! By the way, the menu is in French, Spanish and English. I have to admit, on the food front I have some weakness at times for food familiar to my roots........Cod is one of them. Try Hervé's baked Cod. You will (hopefully) not be disappointed. My Fiancé is French but has lived in Almeria for 18 years. I know she has similar weaknesses to myself! Hervé's starter of Stuffed snails Bourgogne with parsley and garlic butter always brings a smile to her face. Both of us like Pato (Duck) and our friends couldn't stop telling us how much they enjoyed it. Take a look at the menu and you will understand why it's one of our favourite places to eat. Before I forget I must mention one final plus about 'Le Petite Francais'. As one one would expect, they also make delicious Crêpes!! Opening Hours are as follows - 13:00 to 16:00 and 20:00 to 24:00. The Restaurant is not open on Monday night and is closed all day on Tuesday. Join in and write your own page! It's easy to do. How? Simply click here to return to Food Blog.